Change is brewing at Britain's GKN, one of the industry's largest suppliers of driveline systems. 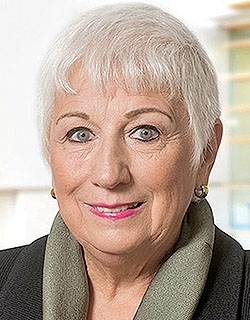 On Jan. 1, GKN board member and former Ford Motor Co. executive Anne Stevens unexpectedly was named CEO, replacing Kevin Cummings, who until then held the title of CEO designate. One week later, a takeover bid was instigated by Melrose Industries, a London conglomerate specializing in buying underperforming companies and re-establishing profits to sell them off again. What kind of supplier now will be led by Stevens, who served as Ford's COO for the Americas, will depend on the outcome of the hostile takeover, or on what measures Stevens takes to avoid it. On announcing Stevens as CEO, the company acknowledged that profits and cash flow had been below expectations, despite sales growth. 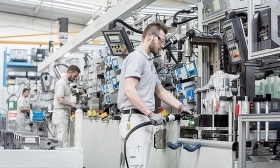 It said GKN has embarked on a two-year campaign to improve profits by focusing attention on its three core businesses — aero engines, constant velocity joints and advanced vehicle technologies — and considering the possibility of spinning off its aerospace operations. Last week, the company sweetened the prospect for resisting Melrose's effort by saying GKN will return $3.5 billion in cash to shareholders over the next three years, partly by selling off its powdered metallurgy business. 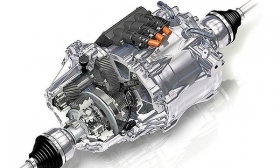 Adding to the drama: GKN is suddenly on a hot streak with its advanced electric driveline, or eDrive. Analysts believe GKN made itself vulnerable when it indicated plans to spin off aerospace. But GKN argues that Melrose lacks the experience in complex technologies and long-term investments to take them on. "Melrose is trying to buy GKN on the cheap," Stevens, 69, said in a statement, "just at the point when our company is beginning to reap the benefits of its long-term investments." GKN faces a takeover bid, just as its eDrive tech catches on. Either way, British press reports say Melrose's approximately $10.2 billion bidsignals big changes for the company, which ranks No. 37 on Automotive News Europe's list of the top 100 global suppliers, with original equipment parts sales of $6.74 billion in 2016. Indeed, GKN revealed last month that its eDrive division is growing faster than management anticipated. Sales have exceeded original projections set in 2017, when GKN secured three new contracts. The venture delivered about $46 million in 2017 revenue, but by year end, GKN had booked $2.77 billion in future eDrive business. in future eDrive business booked. "R&d is a key part of the Melrose equation, and [the order book] announcement is part of the justification of the premium that we are offering to GKN shareholders as we seek to create an £11 billion [$15.2 billion] value powerhouse by merging our two businesses," a Melrose spokeswoman told Reuters in January. But analysts at Jefferies, a New York investment bank, aren't so sure Melrose is up to the challenge. The technologies needed to fuel the industry shift to hybrids and electric vehicles will require time to develop, the analysts said in a report last month. And that cannot be accomplished in the five years Melrose may plan to take GKN in and spit it out, they said.